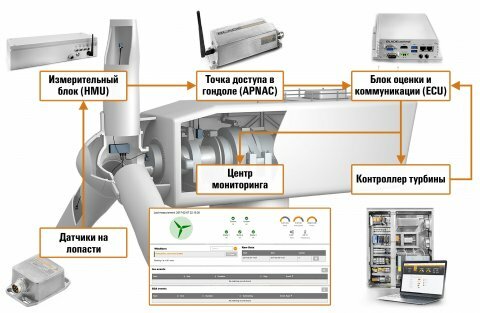 Weidmüller, a well-known developer and manufacturer of equipment and solutions for alternative energy, will participate in the ARWE 2019 Renewable Energy Forum, which will be held from 22 to 24 May 2019 in Ulyanovsk. The company’s specialists will hold a report on the topic: “Monitoring of the wind power plants blades status. Ice and fault detection, power generation increase” and will present at the exhibition, held as part of the Forum, the appropriate solution – BladeControl®. power supply and lighting system of wind turbine towers. connectors for solar cable and purpose-built tools. We invite you to visit the Weidmüller stand, located in the central display area of the exhibition, stand number A6. Weidmüller – Your partner for industrial connections. As experienced experts, we provide our customers and partners around the world with products, solutions and services for industrial power supply systems, transmission, conversion and processing of signals and data. We understand the specifics of the markets in which they operate and already know tomorrow’s technological trends. Therefore, we constantly develop innovative, reliable and practical solutions for the successful development of our clients’ businesses. Together we set standards for industrial connections. Weidmüller Group is an international holding that includes factories, trading companies and representative offices in 80 countries of the world. Weidmüller’s sales amounted to 823 million euros in 2018 and the company currently employs 4,900 persons.